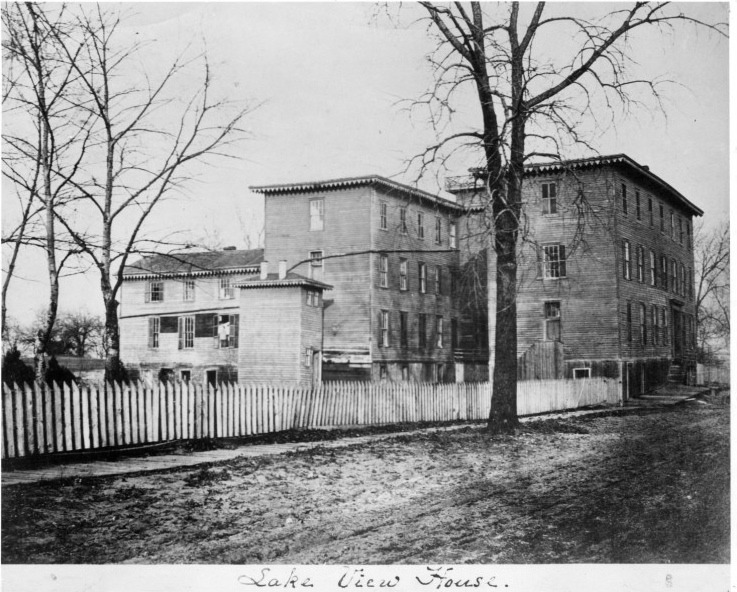 The first permanent structure in Lakeview was the Lake View House Hotel, in 1854, the namesake of the neighborhood. The hotel was located where W Sheridan meets Lake Shore Dr, just south of Irving Park Rd and north of the Belmont harbor. A plank road, Lake View Plank Road, was built from Fullterton to access the hotel, which is now North Broadway.